Luxury in the Sky! 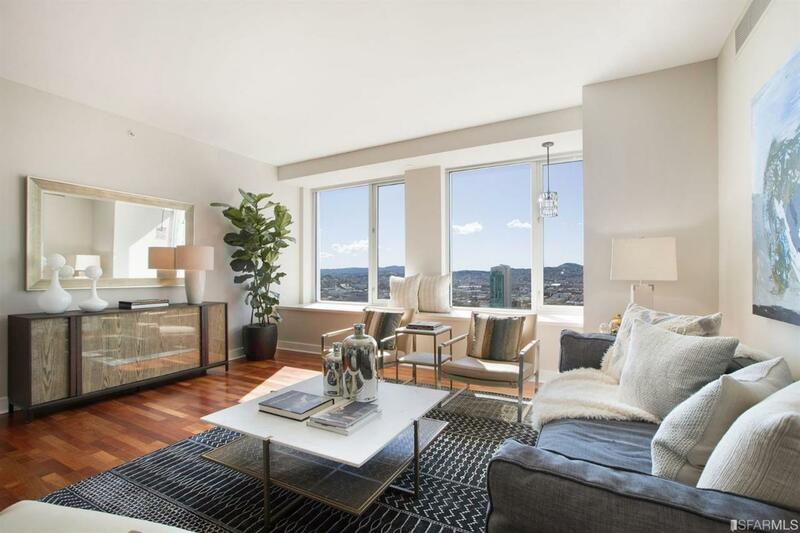 An opportunity to own one of St. Regis's most desirable floorplan, facing SW & towering over Yuerba Buena Gardens, this masterpiece enjoys skyline views across San Francisco from every room. Spanning 1,620 sf, the large 2 bed / 2.5 bath condo features generous living spaces, gourmet kitchen with Miele appliances, wood floors throughout, master suite marble bathroom & walk in closet. Five-Star & State-of-the-Art amenities include Butler Service, 24/7 Concierge, 24/7 In-Room Dining, Indoor Pool, Fitness Center, Yoga Room, Steam Room, Sauna, & Terrace. Located on the borders of Yuerba Buena, Southbeach, & Financial District, the St. Regis Museum Tower is in the heart of everything, & within one of SF's most prestigious & luxurious full service communities.